Stella Vivian Pramudji began her piano studies at the age of six in her native Indonesia. Since that early age, playing the piano has been her lifelong passion. As a child Stella took advantage of every opportunity to perform, taking part in numerous recitals and competitions. She passed all 8 levels, with distinction, of the Associated Board of Royal Schools of Music Exam, in both piano and theory. 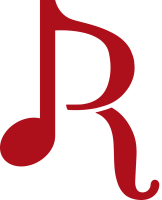 Stella began her advanced musical studies at Diablo Valley College, where she earned an Associate of Arts Degree in Music and studied piano under Dr. Bruce Cook. 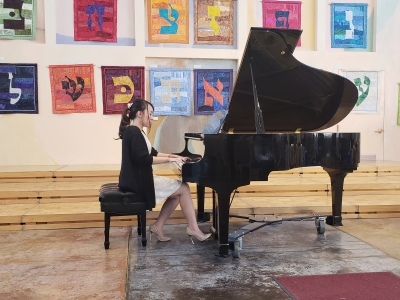 During this time she was chosen to be a soloist with the Diablo Valley College Philharmonic Orchestra, in the Concerto for Two Keyboards, BWV 1060 by Bach. Stella then attended the University of California at Irvine, where she completed her BA in Piano Performance, studying under Professor Lorna Griffitt. While at UC Irvine, Stella developed her skills as an accompanist, collaborating with various choirs, vocalists, and instrumentalists. Stella enjoys teaching students of all ages and levels, from the youngest beginner to more advanced students working on difficult repertoire. She strongly believes in giving students a firm foundation in fundamentals and basics, sparking the interest of the student and then slowly transitioning into more advanced materials. Even though it definitely takes a lot of hard work to achieve your musical goals, Stella always strives to make the lessons fun, because learning to play the piano should be one of the most enjoyable activities you can do.